Is There Any Penalty for Distribution After 59 1/2 on an IRA? There are typically no penalties on IRA withdrawals after age 59 1/2. 1. At What Age Can I Draw Funds From an IRA Without Paying Taxes or Penalties? 2. What Can You Do With an IRA After Retirement? 3. Can a Required Minimum Distribution Be Used to Contribute to a Roth IRA? Traditional IRAs defer taxes on the contributions until they are withdrawn at retirement. Roth individual retirement accounts give you no tax breaks on contributions during your working years, but they provide tax-free income at retirement. IRS rules include penalties if you take distributions from an IRA before age 59 1/2, but different rules apply once you pass this age. Once you turn age 59 1/2, there are no penalties for taking qualified retirement distributions from an IRA. The Internal Revenue Service's IRA rules define this as your full retirement age, but you can keep working and still take IRA distributions. By waiting until 59 1/2 to take money from your IRA, you have complied with the intent of Congress when it passed legislation authorizing IRAs to encourage retirement savings. Withdrawals before age 59 1/2 are nonqualified and normally carry a 10 percent penalty. 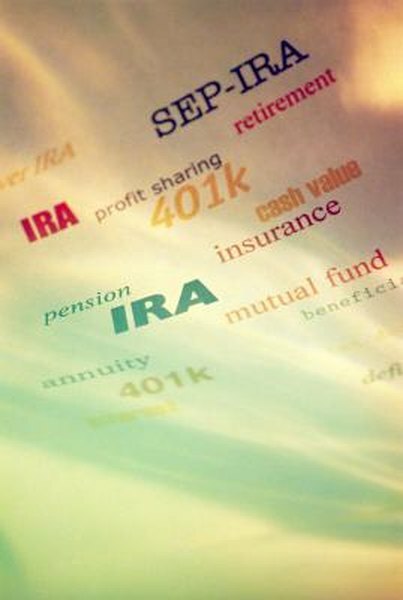 Between ages 59 1/2 and 70 1/2, there are no requirements on the size or timing of withdrawals from a traditional IRA. You can take out as much as you want whenever you want. Between those ages, all distributions are penalty-free, qualified distributions. But retirement distributions from a traditional IRA are subject to federal income taxes and may also be taxed by your state. Qualified retirement distributions taken from a Roth IRA after age 59 1/2 are tax-free and penalty-free if your account has been open at least five years. You can take out any amount at any time without penalty, and you don't have to retire from work. Distributions from a Roth account open less than five years are considered nonqualified; these may be subject to penalties, no matter what your age. The federal tax advantages of IRAs are based on the assumption that the money must eventually come out to be taxed. IRS rules include mandatory minimum withdrawals, with huge penalties for failing to withdraw the required minimums each year. With a traditional IRA, these withdrawals kick in when the owner reaches age 70 1/2. With a Roth, mandatory minimum withdrawal rules apply to certain beneficiaries who inherit the account. If you take less than the required minimum annual distribution, you will owe a 50 percent penalty on the amount you should have withdrawn each year. When Am I Required to Start Taking Distributions From My IRA? Is an IRA Disbursement Considered Income? At What Age Can You Withdraw Money From an IRA Without a Tax Penalty? Do I Have to Wait Five Years Before Taking Money Out of a Roth IRA? Are IRAs Taxable After 70-1/2 Years?